Program evaluation and evaluation research in diverse topic areas including Medicaid policy, chronic disease prevention, behavioral health and substance abuse, and criminal justice. UWPHI advances health and well-being for all by developing and evaluating interventions and promoting evidence-based approaches to policy and practice at the local, state, and national levels. The Institute works across the full spectrum of factors that contribute to health. 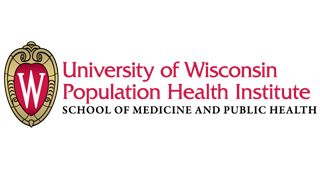 Get in touch with the University of Wisconsin Population Health Institute. Kevin Barnett and Reginauld Jackson, (Public Health Institute, CA) and Bridget Booske Catlin and Karen Timberlake (University of Wisconsin Population Health Institute) explore the development of shared metrics and population health improvement goals. Bridget Booske Catlin (University of Wisconsin Population Health Institute) offers an introduction to helpful resources for assisting local communities in efforts to improve health. Takeaways from Julie Willems Van Dijk (Associate Scientist, University of Wisc. PHI) at the CDC Public Forum “Best Practices for Community Health Needs Assessment (CHNA) and Implementation Strategy Development” meeting.